At a Tuesday press conference in Nairobi, film was shown of Ms. Nyong’o as a young girl singing for the elephants, as well as some highlights of her trip, which will later be used for television, radio, social media, newspapers, magazines and billboards with the message in Africa that “Poaching steals from us all,” and in Asia and the US that “When the buying stops, the killing can too.” Ms. Nyong’o joins a host of international icons including Jackie Chan, Yao Ming, Edward Norton, Prince William and David Beckham who are featured in the campaigns. 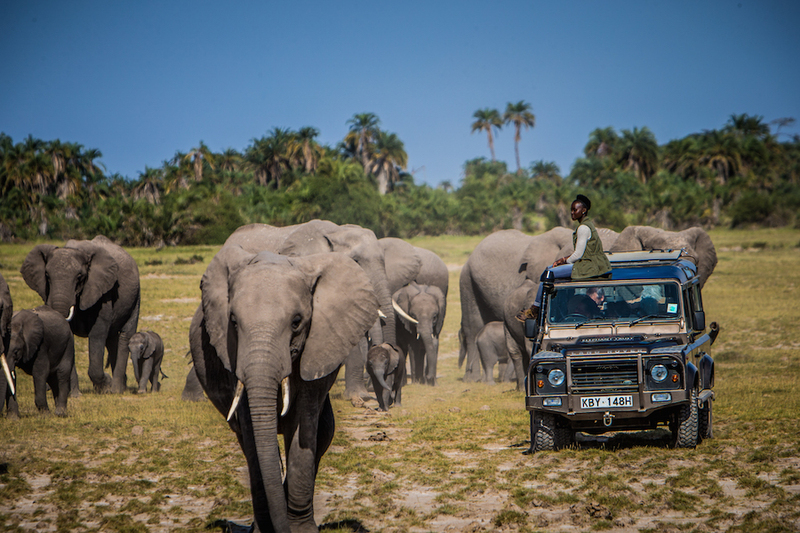 WildAid and the African Wildlife Foundation plan to recruit more prominent Kenyans to join the campaign locally when it launches next year. 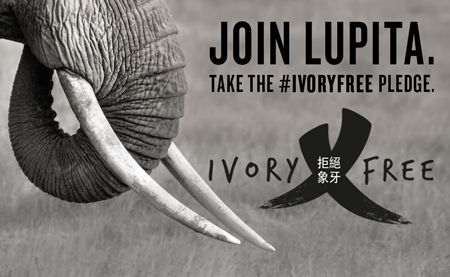 Though Kenya banned the ivory trade 25 years ago, growing affluence in Asia has produced a new class of ivory consumers who have reignited demand and stimulated the illegal ivory trade, resulting in an escalating poaching crisis. Across Africa, up to 33,000 elephants are killed annually for their ivory, with militant groups and international criminal syndicates profiting from the trade. Ms. Nyong’o’s homecoming tour is supported by a number of prominent local companies including Safaricom, Kenya Airways, Simba Colt Motors, African Heritage, Villa Rosa Kempinski, Seventh Sense Communications and luxury bag manufacturer Lulea. Click here to learn more about The David Sheldrick Wildlife Trust's Nairobi Elephant Orphanage. Tusk photo (above right) by Poulomee Basu.